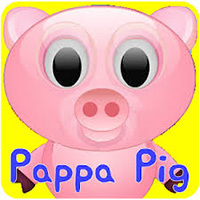 PappaPig?! Haha! Sounds good to me. I love it. Welcome! I'm Mike. What sorta things are ya into? Any particular aspects of the hobby? I'm just into picking-up picking again; I last did it in the army some 45 years ago. Having a hard time with 3 locks out of the 28 I have; American 1106, Master Lock 570 and an Abus 72/40. Have picked the other 25.
are you the Pappa of our member Huxley Pig? Well damn, sounds like you're getting back into it with a vengeance and comin' along nicely. You're certainly in a good place for progress. Post specific questions if/when you're stumped, and you're sure to get some suggestions. I myself have reached a, mmm, decent or so-so level of picking... I'll call it efficient. But some of the folks around here truly blow my mind. People might laugh, but I'm convinced some of the best lock pickers in the world reside here! Welcome to the board mate. Oldfast is right, some of the best pickers in the world look in here from time to time, it's a good spot to be. Any questions, even a dumb one, ask away and someone is going to help you out. Squelchtone wrote: are you the Pappa of our member Huxley Pig? Oldfast wrote: Well damn, sounds like you're getting back into it with a vengeance and comin' along nicely. MHM wrote: Welcome to the board mate. Oldfast is right, some of the best pickers in the world look in here from time to time, it's a good spot to be. I thank you for your welcome to the site Michael. The site has gained further credibility, since it has been confirmed that you are a member. I live just outside Edinburgh; retired lock collector. Hello to you rphillips52, good to speak to you. I'm assumig the 52 part of your name is your year of birth; mine is '53. Does a lock collector ever retire? Tell me more of you and your collection.